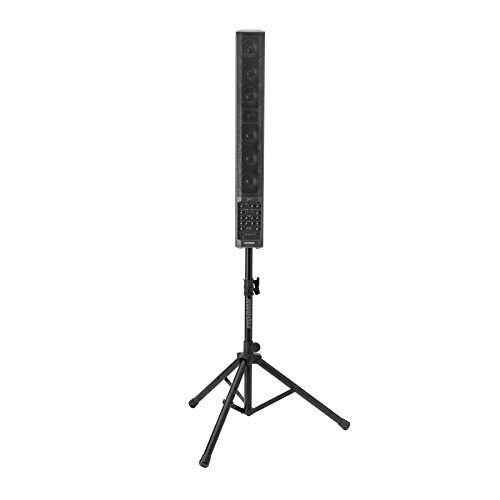 Features: • Full dispersion line array • Two Mic/Instrument channels with combo ¼ inch / XLR inputs • High-quality preamps • 3-band EQ on each input channel • 48V phantom power • Feedback-fighting Phase and Notch filters • Auxiliary Stereo input with level control • Four digital reverb effects with channel Reverb level control • Balanced XLR D.I. outputs for both input channels and Main mix • Dedicated Subwoofer output automatically optimizes the SA-300 frequency response • Unique Monitor I/O for improved onstage ensemble monitoring • Channel Mute • Channel Mute and Reverb Mute are accessible via a footswitch input • Accessory port provides power and audio to SA-Expand • Includes tripod stand and padded carry bag • Incredibly lightweight at only 20 lbs. If you have any questions about this product by Fishman, contact us by completing and submitting the form below. If you are looking for a specif part number, please include it with your message.